Transform your health and life with noninvasive, drug-free chiropractic care and a suite of healing therapies. At Health Solutions of Morton, we provide answers to your healthcare concerns and offer sustainable actions to get your health back on track. Call today for a same-day appointment! Is your health where you'd like it to be? At Health Solutions of Morton, we are steadfastly committed to helping patients of all ages optimize their life with our array of wellness-promoting services. These include chiropractic, nutrition, lifestyle coaching, acupuncture, massage and rehabilitation. 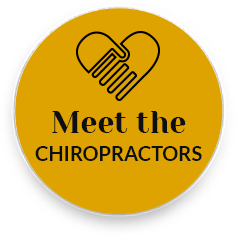 Morton Chiropractors Dr. Rob Richardson, Dr. Matt Nannie and Dr. Mickie Schleef provide patients with customized care to meet their unique healthcare goals. Maybe you’ve been to multiple healthcare practitioners in the past but haven’t gotten the answers you need. At our practice, you’ll find out on the first day what we think the problem is and we’ll let you know how we intend to fix it. 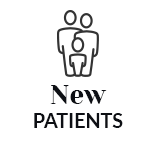 We also adjust on the first visit so you can begin to get pain relief. 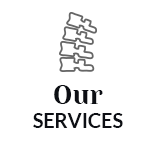 You can trust us to get you the help you require and will refer out when necessary. From golfers and weekend warriors to young athletes to pros, active individuals of every level can benefit from drug-free chiropractic care. Benefits include improved function, flexibility and performance. Chiropractic also can help you heal from a sports injury so you can get back to doing what you love. We are chiropractors for Eureka College's various sports teams and the Peoria Piggies local rugby team. There's some truth to the expression "You are what you eat." Eat too much food that's acidic and your body will be inflamed resulting in feeling not so great. On the other hand, when you eat whole organic foods your body will respond favorably, and you'll feel good. We offer nutritional counseling at the practice so you and every member of your family can experience optimal wellness. If you'd like to live your healthiest life possible, we want to help. 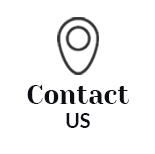 Contact us today to book a same-day appointment with one of our Chiropractors Morton! This is by far the most thorough and most experienced chiropractor I’ve ever been too. This place has the highest level of chiropractic care in the area. These guys are awesome. No gimmicks. I highly recommend Dr. Matt at Health Solutions for chiropractic care. From the moment you walk in the door the whole staff is attentive and helpful to every patient. He is incredibly detailed and precise in his work. I’ve met with ~10 Chiropractors throughout Illinois looking for help with chronic pain from an injury I sustained. While other Chiropractors used guess and check, Dr. Matt identifies areas of weakness and addresses them specifically. (I believe this is the Gonstead method, but I can’t speak to that). He was able to identify the cause of my chronic pain and we are taking steps to resolve it. When I have bad days, I know an appointment with him will ease my discomfort.